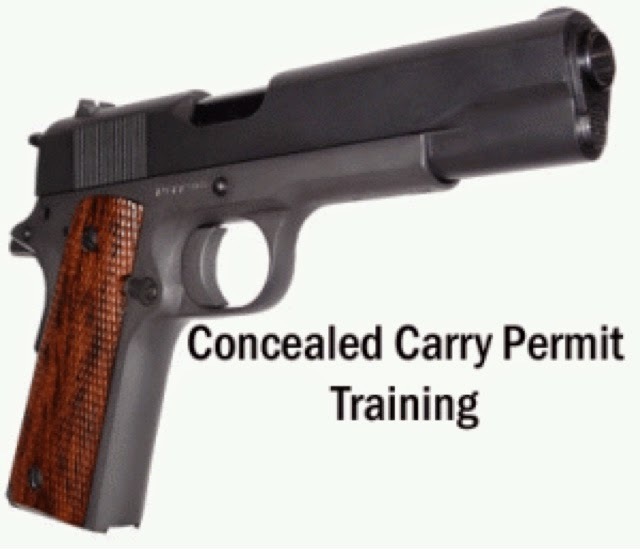 Get your Illinois Conceal Carry License / Permit.... Plus get 3 other CCW's licenses FREE! (Utah CCW, Arizona CCW & Florida CCW) - together safely and legally conceal carry a handgun in over 35 States...!!! In the United States, there are two different ways in which citizens can carry firearms: open carry, in which the weapon can be seen by a casual observer, and concealed carry, in which the weapon cannot. Because there has never been a federal law that covers the issuance of concealed or open-carry permits, states determine the extent to which they can be issued. All 50 states allow, at some level, concealed carry, but some states are considerably more restrictive than others. California, Florida, Illinois, Texas, South Carolina and New York (as well as Washington, D.C.) are the only states to prohibit open carry of handguns in public. There are three general categories into which state concealed-carry laws can be grouped: unrestricted (no permit or licensing required, but there may still be regulations on where guns can be taken in public), shall issue and may issue. May-issue states require a permit for concealed carry. There, local authorities are given discretion as to whether to issue permits. May-issue state laws vary, from largely permissive to permits being difficult to obtain, unless the applicant provides considerable justification. In New Jersey, for example, all non-law-enforcement personnel must demonstrate "justifiable need," characterized by the state police as "urgent necessity for self-protection … that cannot be avoided by means other than by issuance of a permit to carry a handgun." Shall-issue states require the issuance of a permit upon the fulfillment of a standardized set of criteria, which usually includes at least a minimum age and background check; some states require firearm safety training as well. Three states (California, Florida and Illinois) and the District of Columbia prohibit the carrying of any firearm openly in public. The restrictiveness of individual open-carry laws varies greatly by state. For instance, though both Hawaii and Georgia require licenses, Hawaii's process is more restrictive, while Georgia gives out permits on a shall-issue basis. In some states, open carry for all nonprohibited citizens—those convicted of felonies, and noncitizens without plans to permanently immigrate—requires no specific permit. Some states have no single, overarching open-carry law, which means that regulations are generally determined on the local level. In Oregon, Portland has an ordinancerestricting open carry, though there is no general statewide law. States such as New York and Illinois, which disallow open carry, sometimes have exceptions in certain circumstances (e.g. hunting in rural counties). Others, like Texas, disallow the open carry of handguns but not long guns. In 1986, there were only eight shall-issue states and one state, Vermont, with no restriction; the rest of the country was more restrictive with concealed-carry gun laws. Today, the situation has loosened in terms of gun law; there are only nine may-issue states, and the rest have become shall-issue states, where law-enforcement discretion can be limited. Battles continue within states over the place of guns in society, in the courts and at the level of state legislatures. The District of Columbia's ban on all guns in public was declared unconstitutional in July, and D.C. enacted an emergency concealed-carry legislation banning open-carry but allowing concealed-carry and may-issue permitting. Georgia resoundingly passed the Safe Carry Protection Act, which allows residents with a permit to bring concealed weapons into a number of public spaces, including bars and churches. A similar law was passed in North Carolina last year and another in Arizona in 2009. In July 2013, Illinois adopted a shall-carry law, with significant law-enforcement discretion, after having previously disallowed the issuance of any concealed-carry permits. Colorado has passed a comprehensive background check law. Washington state approved a ballot initiative in November 2014 for universal background checks. Connecticut passed a gun-control law in 2013, banning assault weapons and large-capacity magazines. The 1994 Violent Crime Control and Law Enforcement Act expired in 2004 and was not renewed by the federal government. Since then, there has been no federal law prohibiting or regulating the ownership or use of assault weapons. That law defined "semiautomatic assault weapon" to mean one of 19 named weapons and their facsimiles, or a rifle, pistol or shotgun that fulfilled two of a list of certain characteristics. The law also banned the ownership or sale of large-capacity ammunition magazines. Regulation of assault weapons now takes place at the state and local level. Seven states ban assault weapons and high-capacity magazines outright: California, Connecticut, Hawaii, Maryland, Massachusetts, New Jersey and New York, as well as the District of Columbia. These laws echo the expired 1994 Act, save for minor differences and generally more comprehensive lists of named, banned firearms. Minnesota and Virginia regulate, but do not ban, the use and possession of assault weapons. Both prohibit ownership from anyone under 18. No other state either bans or regulates assault weapons. A number of counties and municipalities prohibit assault weapons, including Chicago's Cook County. Colorado is the only state that banshigh-capacity magazines but not assault weapons. Virginia and Maine restrict them to some degree, while they remain legal in all other states. There is a growing list of corporations requesting that customers not bring firearms into its retail locations. Policies to discourage the open carry of guns in its stores have been implemented by other well-known nationwide chains within various segments of the retail industry—including supermarkets, restaurants, cafés and movie theaters. The policies have divided consumers and activists on both sides of the gun-control policy issue. Panera Bread issued a policy in September 2014, though Panera had not had any serious issues with firearms at its stores. "The request is, simply, we recognize everyone's rights," said Panera CEO Ron Shaich. "But we also recognize that we are building communities in our cafès, and [we] are where people come to catch a breath." For some companies, the ban on firearms is explicit and more obvious based on business segment. Chuck E. Cheese's, the children's "birthday party" restaurant and arcade, has a policy posted at all of its locations, disallowing entry with weapons or firearms. The two largest movie theater chains—AMC Theatres and Regal Entertainment Group—disallow guns on its premises. In July 2014, Target requested that people not bring firearms to Target locations, even where permissible by state law. CFO John Mulligan said bringing firearms into Target "creates an environment that is at odds with the family-friendly shopping and work experience we strive to create." In May 2014, after saying that several guns rights advocates brought assault rifles into a Chipotle's location, Denver-based Chipotle Mexican Grill requested that its consumers no longer bring firearms. In September 2013, Starbucks CEO Howard Schultz announced that the company would disallow guns, similarly citing the use of Starbucks as a demonstration center for pro and antigun advocates. "Starbucks is not a policymaker, and we are not pro or antigun," Schultz told CNBC. "However, over the last few months or so, we have seen ourselves thrust into this debate in a way that is not consistent with the values and guiding principles of our company." Other companies to adopt prohibitionson carry of guns include Sonic, Costco Wholesale, Chili's Grill & Bar and Jack in the Box. Most chains—such as Starbucks and Target—do not actively bar firearms, but request that consumers not bring them in, partially because they fear staff having to confront armed customers. Ones that do issue stringent bans—for example, Chuck E. Cheese—treat violators as they would trespassers (legally similar to a "no shirt, no shoes, no service" policy). Supermarkets have been targets of public campaigns in recent years—Kroger is currently the target of a high-profile campaign by gun law reform group Moms Demand Action. In addition to Target and Costco, Whole Foods, Giant Food Stores and Sprouts Farmers Market have adopted gun prohibitions. Get your Illinois Conceal Carry License / Permit.... Plus get 3 other CCW's licenses FREE! (Utah CCW, Arizona CCW & Florida CCW) - safely and legally conceal carry a handgun in over 35 States...!!! Guns Save Life's...end of debate!!! The ostensible purpose of gun control legislation is to reduce firearm deaths and injuries. The restriction of access to firearms will make criminals unable to use guns to shoot people. Gun control laws will also reduce the number of accidental shootings. Those are the desired effects, at least in theory. It is important, however, for conscientious policymakers to consider not only the stated goals of gun control regulations, but the actual results that they produce. Outside of criminology circles, relatively few people can reasonably estimate how often people use guns to fend off criminal attacks. If policymakers are truly interested in harm reduction, they should pause to consider how many crimes — murders, rapes, assaults, robberies — are thwarted each year by ordinary persons with guns. The estimates of defensive gun use range between the tens of thousands to as high as two million each year. This paper uses a collection of news reports of self-defense with guns over an eight-year period to survey the circumstances and outcomes of defensive gun uses in America. Federal and state lawmakers often oppose repealing or amending laws governing the ownership or carrying of guns. That opposition is typically based on assumptions that the average citizen is incapable of successfully employing a gun in self-defense or that possession of a gun in public will tempt people to violence in “road rage” or other contentious situations. Those assumptions are false. The vast majority of gun owners are ethical and competent. That means tens of thousands of crimes are prevented each year by ordinary citizens with guns. Clayton E. Cramer teaches history at the College of Western Idaho and is the author of Armed America: The Remarkable Story of How and Why Guns Became as American as Apple Pie(Nelson Current, 2007). David Burnett is the director of public relations for Students for Concealed Carry. Get your non-resident Utah & Arizona CCW permits / licenses - legally and safely conceal carry a handgun in over 33 States. 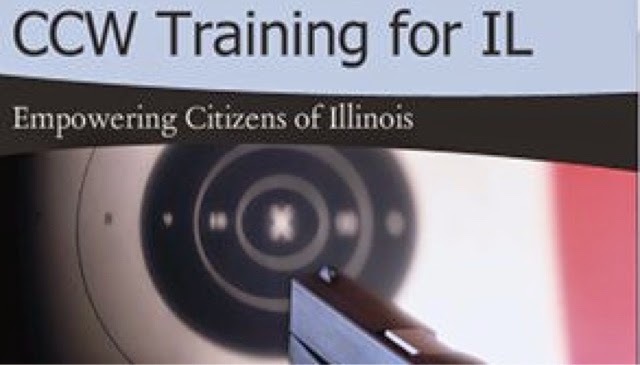 Plus earn 4 hours toward your Illinois CCW 16 hours of mandatory training. Get your Illinois Conceal Carry License / Permit.... Plus get 3 other CCW's FREE! (Utah CCW, Arizona CCW & Florida CCW) - safely and legally conceal carry a handgun in over 35 States...!!! Two years after the mass school shooting in Newtown, Conn., a majority of Americans say it is more important to protect the right of Americans to own guns than for the government to limit access to firearms, a Pew Research Center survey conducted this month found. The center said in a statement that it was the first time in two decades of its surveys on attitudes about firearms that a majority of Americans have expressed more support for gun ownership rights than for gun control. Fifty-two percent of respondents said it was more important to protect gun ownership rights, while 46 percent said the priority should be controlled access to firearms. On Dec. 14, 2012, Adam Lanza, 20, fatally shot 20 children and six adults at Sandy Hook Elementary School in Newtown before killing himself in one of the deadliest mass shootings in American history. By contrast, the views of whites who believe guns are more likely to provide personal protection have changed more modestly — rising to 62 percent this year from 54 percent in 2012, the poll found. Overall, 57 percent of Americans said gun ownership was more helpful in protecting people from becoming victims of crime, while 38 percent said it does more to endanger one’s safety. But in the period immediate after Newtown, 48 percent had said firearms do more to protect people, while 37 percent had said guns put people at risk. Gun control does not work!!! 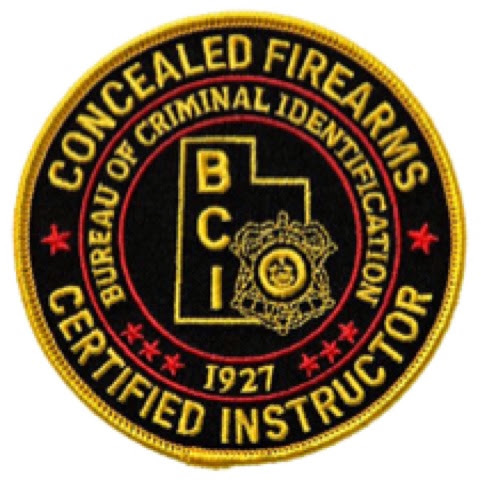 Get your Illinois Conceal Carry License / Permit.... Plus get 3 other CCW's (Utah CCW, Arizona CCW & Florida CCW) - safely and legally conceal carry a handgun in over 35 States...!!! You're getting a gun or a conceal carry permit and your wife or girlfriend is angry. She doesn't like guns. She is apprehensive about having a loaded handgun in the house and doesn't like the thought of you getting your concealed weapons permit. Well, I was that way once too. I didn't grow up with guns in the house. No one in my family hunted wild game. I wouldn't say that I was anti-gun or pro-gun; I just never gave guns a second thought. I assumed guns were bad. I assumed that the only people who had guns were hunters, police officers, and criminals. The thought of Joe Schmoe concealing a gun under his shirt while walking around the mall was incomprehensible. What would he need a gun for unless he was out looking for trouble? This isn't the Wild West - a trip to Macy's isn't going to end in a shootout. It's a mall, not a battlefield! Then I met my husband. I knew he was an avid hunter before I even started dating him, so I knew there would be guns in his home. The shotguns didn't bother me much, since they were for a hobby. But when I found out he had a concealed weapons permit and he stored a handgun in a safe under the bed, I almost flipped! I didn't understand - what did he need a gun for? Why does he have a permit to carry a gun around? I did not like this at all. But eventually, I came around. Here are some tips, from a female former gun-hater, to help your wife or girlfriend understand & be comfortable with gun ownership and/or why you'd want a concealed carry permit. Tip #1 - Go slow & don't be pushy: She's upset you got a conceal carry permit and now you're sleeping on the couch. The best thing to do is to not push the issue. She's an adult and you both have a right to your own opinions. Talk about guns and conceal carry with her but don't resort to incessant pleading and nagging if she is refusing to listen. This will only have a negative effect (no one likes to be told what to do!). If she does come around, she'll have to do so on her own terms. Take it slow (no daily gun discussions!) - no one likes to be told what to believe! She isn't going to change her beliefs overnight -- your decision to get a conceal carry permit didn't happen on a whim and likewise, she isn't going to robotically become pro-gun in a few hours. Tip #2 - Explain your reasons: Getting a concealed weapons permit is a big decision and I'm sure you've thought it over carefully. Explain to her why you want to carry a gun. Perhaps it's because you want a gun for family protection? Has your neighborhood had a series of break-ins? You want to carry it for self protection -- crime doesn't make an appointment! Even if you're just expressing your right to bear arms, give detailed examples or she might think you're just out looking for trouble. Tip #3 - Don't get angry: It's inevitable - after you explain your reasons why you want to carry a gun, your girlfriend or wife going to retort. She might say stuff like, "You're paranoid!" "You never were like this before!" "You must be hanging out with that dirtbag Rob again!" "It's just another one of your phases." Her responses might make you angry. You might not agree with her anti-gun beliefs, but please respect them. Change of any kind is tough and you cannot force her into your choice. Let her express her opinions on firearms and she just might come around with time. Tip #4 - Don't get a conceal carry permit without telling her: The worst thing you can do is to go behind your wife's back and get a conceal carry permit. You won't be sleeping on the couch - you'll be packing up and staying with a buddy for a few weeks. If you get a conceal carry permit behind her back and start carrying a gun everywhere, your wife will feel deceived and outraged when she finds out (which she will. Trust me). Yes, you're an adult and don't need permission from your wife to get a conceal carry permit and carry a gun, but as your companion, she deserves to know. Tip #6 - Discuss local news: Point out situations where the story would've turned out differently, had the victim been carrying a gun.Make sure not to harp on the issue, as she could tire from this quickly. Use this tip with caution, as this can come off as lecturing. A gentle approach is key. Tip # 7 - Take her to the gun range: One of the best ways to get her familiar with firearms is to take her to the range. By handling firearms herself, she will get a firsthand look at gun operation. Before I handled a gun, I thought a gun could go off on its own, shooting up the whole room. After learning how a gun works, I was less fearful of them - and I even discovered I liked shooting! Don't harp on the self-defensive topic. Just have fun shooting targets and perhaps she'll come home from the gun range with a new hobby. These tips hopefully will help you approach a nervous spouse about conceal carry and gun ownership. Even if her gun ownership views don't align with your own, always respect her opinions and realize that she may never come around. Former Mayor Michael Bloomberg’s Everytown for Gun Safety group is providing its members a gun control flashcard of sorts, packed with figures and facts, to use around the dinner table this holiday. The collection of data, presented in a bullet-point format, is designed to provide advocates quick information to draw from in conversation with seldom seen friends and relatives over the upcoming Thanksgiving feast. Termed “Talking Turkey About Guns, 2014” the resource presents itself as a myth buster of sorts, for instance, taking on claims from the National Rifle Association that more guns in more places make us all safer. “Even though good manners says we’re not supposed to talk religion or politics, we all know that sometimes the conversation at the Thanksgiving table gets taken over by a family member or friend with strong opinions and shaky facts,” Erika Soto Lamb, communications director for Everytown told Guns.com Monday. “For that reason, we thought it would be helpful to provide gun safety supporters with this handy guide for busting some of common myths about guns and to help set the table straight this year,” Lamb said. According to Talking Turkey, the information presented contends that women are five times more likely to be killed by an intimate partner when firearms are present, Americans are 20 times more likely to be murdered with a gun that people in other countries, and 92 percent of Americans support expanded background checks. The infographic, although garnished with images of turkey and pumpkin pie, does not cite its sources. Further, it does not have Everytown’s name or the monikers of groups under its umbrella such as Mayors Against Illegal Guns, or Moms Demand Action. The only sign on the downloadable image, set up for quick insertion into social media feeds, that Everytown may be responsible for it is a modified version of the organization’s three-striped logo, stripped of wording and hidden at the bottom of the layout. The Bloomberg Talking Turkey campaign actually predates the birth of Everytown. In 2013 Mayors Against Illegal Guns distributed a similar flyer under the same name. This prompted the National Rifle Association to fire back with a “Bloomberg is full of stuffing” rebuttal last holiday season. Lott told Guns.com that the latest Everytown effort has some, “Horrible errors in these claims,” pointing out, for instance, that the classification of “intimate partners” included in the figures about violence towards women also encompasses prostitutes and their customers. “If you want to ask about the real risk factor women should be careful of men with violent criminal records, not ownership of guns,” Lott said. Further exceptions to the Talking Turkey infographic Lott took include taking issue with the contention that concealed carry does not make people safer and flawed assumptions on comparing murder rates with other countries.